There were a number of tweets, blog posts and online discussions late last week that stirred up a great deal of confusion over whether or not you would soon still be able to send free messages to fellow group group members on LinkedIn. I’ve got the straight dope from LinkedIn and will demonstrate with multiple screenshots what is still free for everyone and what is not going to be free for LinkedIn Recruiter license holders. I believe the confusion began with emails LinkedIn recently sent out to Recruiter license holders explaining that they will be disabling the ability to send free InMails to group members from LinkedIn Recruiter as of January 14th. 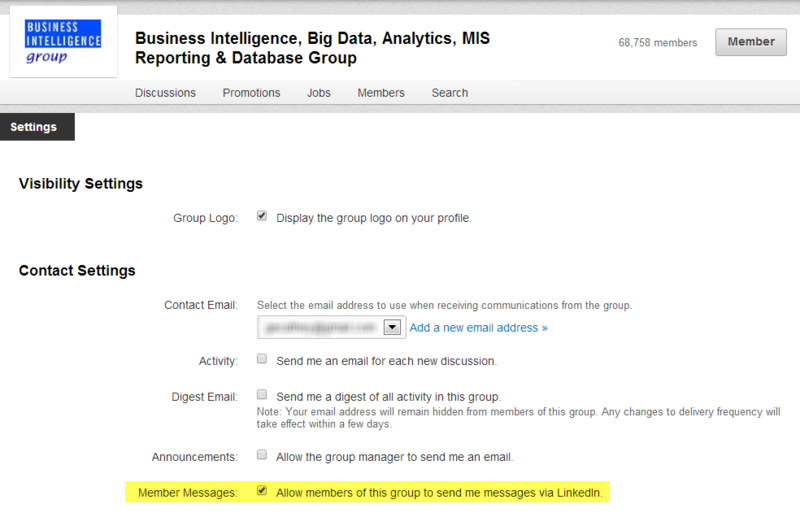 Based on the chatter online, some people seem to have incorrectly interpreted this to mean that no one will be able to send free messages to fellow group members on LinkedIn.com any more (see example image at the bottom of the post). 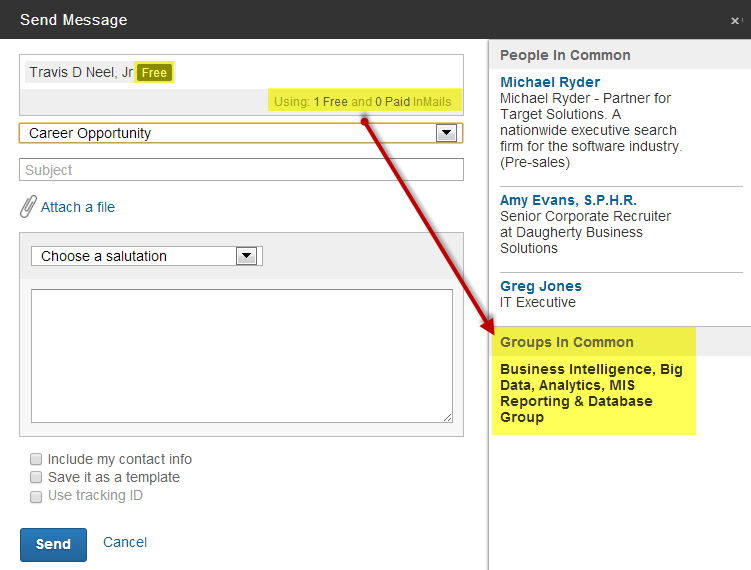 As you have noticed (and commented in Social Media), we have disabled the ability send to FREE InMails to Fellow Group Members from Linked Recruiter. This Change is only applicable to LinkedIn Recruiter customers (not LinkedIn members). 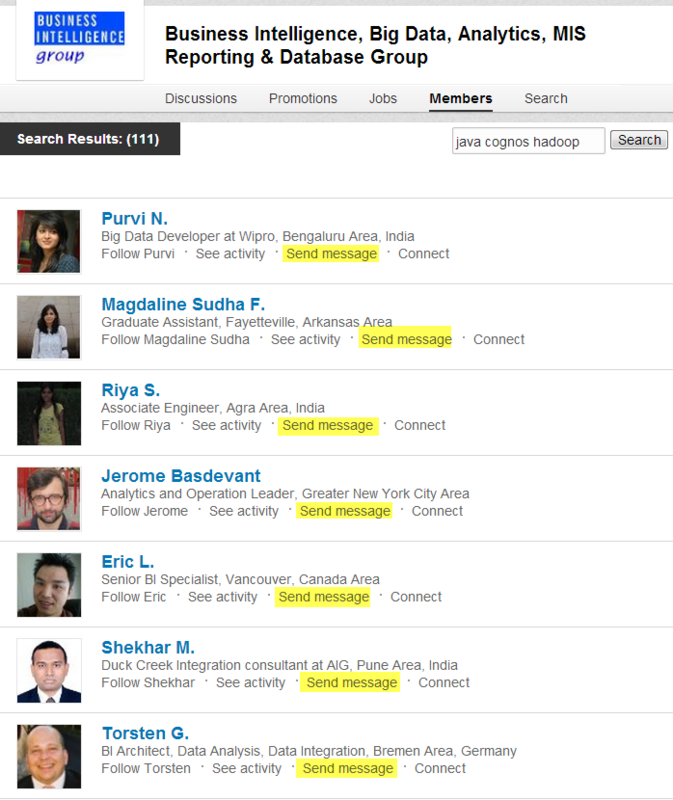 Background: When the feature was launched in LinkedIn Recruiter several years ago, the intention was to provide members with an opportunity to connect and share ideas within groups while enabling recruiters to participate and find talent. Based on a recent analysis, we have noticed that this feature is being used in ways we hadn’t anticipated, often creating negative experiences for both members and recruiters. Here are some additional clarification points. 3. LinkedIn Recruiter customers CAN continue to send InMails to fellow group members but these InMails will be deducted from their allotted InMail credits. Finally to answer your tweet: Free group messaging isn’t going away for any member. It certainly clears things up for me. 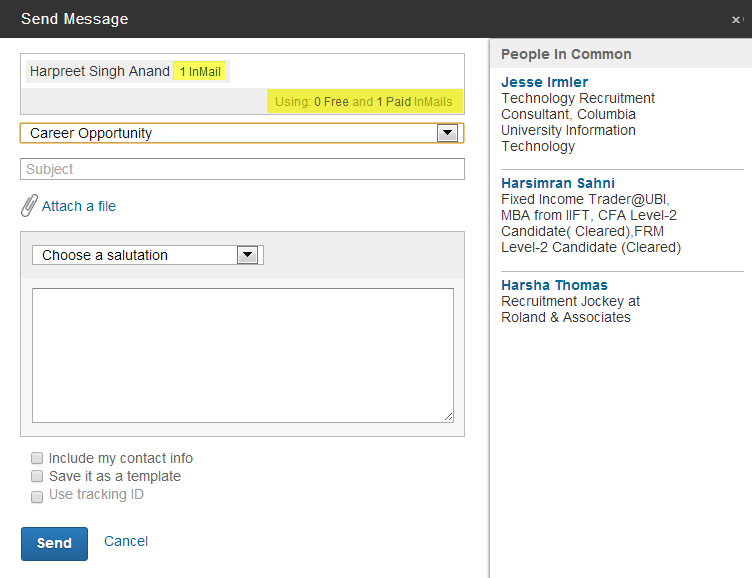 When you’re on LinkedIn.com and in a LinkedIn group and you want to send a message to someone, even if they aren’t connected to you in any way other than sharing the same group, you will still be able to send free messages to anyone who hasn’t disabled the ability. So keep calm and message on.